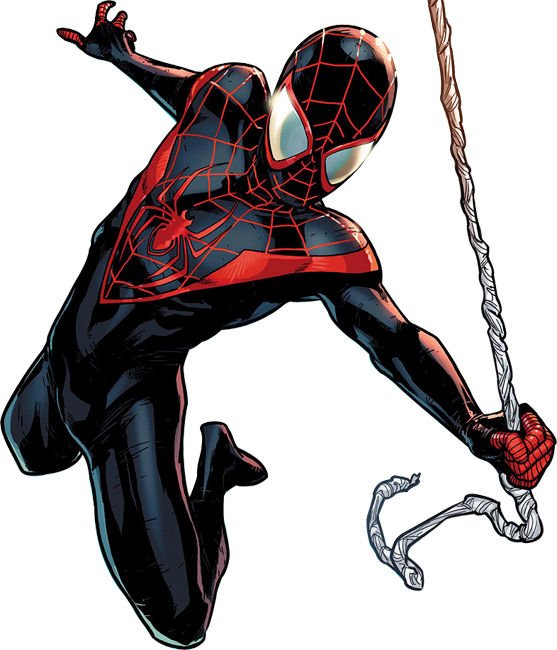 What do you think of Miles Morales' Spider-Man costume? How did I go 141 of these polls without doing Miles Morales' Spider-Man costume? Well let's fix it this week. So good yet so simple. Perfect. 3: It's okay, but the bottom half is too plain. It feels unfinished. I really Like it but I can't get past the fact that it's mostly a black suit and then someone dropped some red webs over the top. Seems like it's missing something to really tie it all together. I would like to take a loot at your Miles Morales, Podmark. I did not find it in your site.